Traveling soon? Before you start the mammoth task of packing, do I have a helpful website for you! Blame my geeky fascination for all things suitcase-y. I enjoy the challenge of packing a travel bag to the best of its potential, and for the love of my wheelie case, I can't believe that I didn't discover this site earlier. 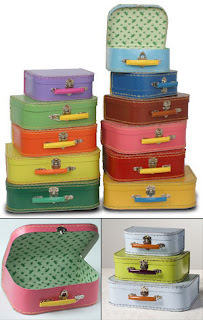 The type of suitcase, what to pack inside...should I bring a carry-on bag too? All these questions and more are found on the One Bag site. Take a trip over to this website for organizational tips that will prepare you to be the true, unstressed jet setter that you were born to be. Just remember to send me a postcard!